In general, to raise individuals who are able to share the common values of humanity, respect human rights and moral values, have strong social relations, adopt democratic principles, have tolerance, can make unbiased evaluations for different cultures and values, contribute to the exploration and revealing of regional cultural values, agree to share knowledge and experience with the country and humanity. In particular, the mission is to raise individuals in the field of science and social sciences who have the power to analyze the principles and functioning of science through conceptualization, analysis and synthesis; can establish connections between the sciences and other fields of life; who are connected to scientific understanding; are equipped with inquisitive, contemporary, and practical knowledge, are capable of researching and problem solving ability; have cultural accumulation and communication skills. 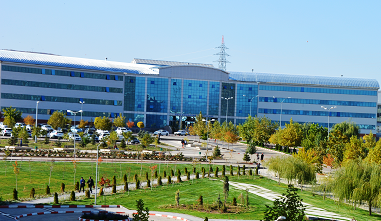 To carry out contemporary education and research activities aimed at solving local, national, and international problems; to work for the benefit of the people of the region, nation, and the world; to serve as a model in national and universal dimension in scientific researches, qualified education, and publishing activities.